After investigating a series of gruesome murders, Batman realizes that these crimes aren't perpetrated by anyone from Gotham City...or even this planet. Soon, the Dark Knight finds his real enemy-the intergalactic hunter called the Predator! This collection features BATMAN VS. 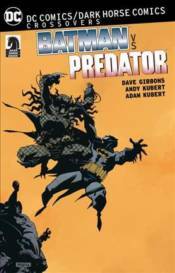 PREDATOR #1-3, BATMAN VS. PREDATOR II: BLOODMATCH #1-4 and BATMAN VS. PREDATOR III: BLOOD TIES #1-4 and is co-published with Dark Horse Comics.